How much do you know about your professional dental checkup and cleaning? Most people are aware that the routine visits allow Dr. Young to visually inspect your mouth for signs of tooth decay and gum disease. They also offer a chance for our hygienists to clean up any plaque and tartar that your toothbrush may have missed. 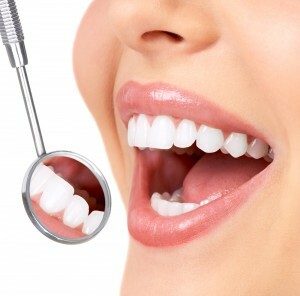 However, diligently attending regular dental visits can have far more benefits, many of which you may not be aware of. To help you gain a better appreciation of your Lafayette dentist’s role in your continued good hygiene, Dr. Young explains what you can expect from your periodic dental checkups and cleanings. Checking for germs—Dental plaque is the sticky stuff that coats your teeth from time to time. It’s especially fond of clinging between your teeth and along your gum line, as well as on the surfaces of your teeth. What makes plaque dangerous is that it’s comprised mainly of oral bacteria, which are the cause of such issues as tooth decay, gum disease, and bad breath. Brushing and flossing helps control plaque buildup, but if you miss even a small spot, it’ll harden into tartar and be impervious to your toothbrush. At your dental cleaning, one of our talented hygienists will carefully remove all traces of plaque and tartar from your teeth and gum line to help prevent the development of dental disease. Checking for function—Bacterial infections aren’t the only things that can affect your smile and your dental exam includes much more than simply searching for masses of germs. Your mouth’s function depends on proper alignment as well as strong gum and tooth structures. Aside from a visual inspection, your checkup may include digital X-rays for a closer look at your mouth’s components. If Dr. Young discovers that your teeth and/or jaws need adjustment, he’ll consult with you to determine the best course of treatment restore your mouth’s proper alignment. Checking for health problems—If you had a chronic disease, chances are that symptoms will develop to warn you of trouble at some point. Before most physical symptoms can cause you discomfort, however, the illness can exhibit signs in the form of oral lesions, tumors, and other disturbances in the oral cavity. Many cases of early detection occur during a thorough oral exam at a routine checkup, and the earlier you catch most illnesses, the higher your chances of successfully treating them. Make the most of your dental hygiene routine by persistently adhering to your six-month dental checkup and cleaning schedule. If you live in the 70508 area and would like to learn more about the importance of professional dental maintenance, schedule an appointment with your Lafayette family dentist by calling Dr. Young at (337) 237-6453. Located in the 70508 area, we proudly serve patients from Lafayette and all surrounding communities.